Although the layman could be forgiven for understanding policy change as being initiated and completed within and by the legislative and executive branches, the reality is disparate. Whether for momentous changes like the Hunting Act 2004 which banned the hunting of wild mammals with dogs to minor changes made to subsidies within energy policy, the process from initiation of development to implementation is often many years – though for the former it was a matter of several decades. The Advocacy Coalition Framework (ACF) was developed by Sabatier and Jenkins-Smith to enable an evaluation of the complex policymaking environment beyond that of the oversimplified ‘stages’ approach, particularly emphasising the role of beliefs and policy learning within policy sub-systems, which requires analysis of a policy area ‘over a decade or more’(Sabatier, 1988: 131). Therefore, this essay will seek to evaluate this central tenet of ACF, particularly via analysing the ability of a competing framework approach of public policy to explain the behaviour of actors within sub-systems over prolonged periods. Specifically, the policy community approach which forms a key aspect of Kingdon’s (2003) Multiple Streams Framework (MSF) will be utilised in order to evaluate that claim. Despite the fact that it can be difficult to apply ACF when their are not distinct coalitions present (May, 1989), the capacity of Advocacy Coalitions to provide a tool to analyse the effects that a highly complex web of non-stationary variables have on actor behaviour over many years is particularly useful when a once distant policy gathers support from across party lines. Crucially, Advocacy Coalitions provide a more accurate tool than the community approach which posits a too generalised view of actor behaviour and while MSF recognises policymakers behaviour can be altered by the national mood or focussing events, it fails to appreciate the extent to which external events and analytical debate between actors across belief systems can effect behaviour and outcomes. A key assumption of ACF as developed by Sabatier and Jenkins-Smith is the notion that people access political life to see their beliefs translated into action (Sabatier, 1988: 132), and hence ‘governmental programs are translations of policy-orientated beliefs’ (Jenkins-Smith et al, 2014: 201). The framework breaks down beliefs into three main types: deep core – fundamental ideas held by individual, these are highly unlikely to change; policy core – positions on policies in relation to their ability to realise deep core belief, these are still improbable to change; secondary beliefs – the most probable to change, procedural ideas and decisions relating to realising the implementation of the policy core (Sabatier, 1993: 31). The Hunting Act 2004 serves as an example of these belief systems in action. The policy had aligned the Labour Party, alongside a number of animal welfare groups including the League Against Cruel Sports, The National Society for the Abolition of Cruel Sports and the RSPCA (Tichelar, 2006) in a coalition for animal welfare early in the 20th century . Indeed this coalition contained a mixture of both ethical and social beliefs, a culmination of socialism and animal ethics issues such as vegetarianism and vivisection (Ibid, 215). While on the other side of the debate a pro-hunting, ‘pro-liberty’ coalition formed with the Conservative Party at the helm, featuring conservation groups such as the Countryside Alliance, National Farmer’s Union and a number of Conservative MPs taking high profile roles including former Leader Iain Duncan Smith (Branigan, 2002) and Andrea Leadsom (Stone, 2016). Indeed the polices advocated appear to conform to both the deep and policy core belief characteristics of ACF and several studies point to conflicts of the policy core in rural England (Lowe et al, 1997; Cloke et al, 1994). Additional of concern for the deep core, the implications of class politics must not be dismissed. Despite the documented decline of class politics in Britain in the latter stages of the 20th century (Evans & Tilley, 2011; Lawrence & Sutcliffe-Braithwaite, 2011: 143 – 147); which may have contributed to several Conservative MPs joining the animal welfare coalition. Ultimately the association of Fox Hunting with social class is unavoidable, indeed Howe (1981: 278) identifies that Fox Hunting in England is a ‘ritual of social class… dramatizing themes and images about the gentry and aristocracy’. Hence, it is important to view Labour’s involvement within the animal welfare coalition as arising from their socialist ideological position. Therefore, what the ACF enables is an understanding of the different levels of ideas and beliefs in play over time and their respective relevance within the subsystem. The deep core beliefs of both animal welfare and equality on one side and liberty on the other have played varying roles throughout the history of the policy. Although liberty continues to play a prominent role in the pro-hunting coalition, alongside the policy core belief of defending tradition, it is the deep core belief of animal welfare which dominates the anti-hunting coalition at present and this may be attributed to the general decline class politics. The distinction of belief types made by ACF is vital as it ensures that although those within coalitions may share competing beliefs in certain areas, providing they share a belief of the policy core – i.e. protection of animal welfare can be achieved via a policy on banning certain types of hunting – an agreement can be reached within that coalition. Hence Advocacy Coalitions can provide an endogenous explanation for the growing strength of the anti-hunting coalition across the best part of a century and its eventual success in enacting the Hunting Act. MSF employs a somewhat similar focus upon the role of ideas and how these shape actor behaviour and policymaking decisions. Kingdon (2003: 117) posits that ideas play a key role within specialised policy communities which are crucially independent of political happenings and changes. Ideas are viewed as floating around in a pre-institutional, ‘primeval soup’, competing for acceptance within the community – where ultimately the strongest proposition is adopted (Ibid). Furthermore, these ideas must be qualified, that is they must take into account: ‘technical feasibility’, compatibility of ideas with values of specialists within the policy communities – and the broader national mood – and their awareness of prospective limitations (Ibid: 131 – 139). However, while this approach can offer an explanation as to why certain policy ideas come to the fore over a period of time, depending upon their feasibility and acceptance, it applicability beyond US Federal politics is troublesome (Pollitt, 2008: 127). It firstly does not account for campaigns which occupy a space on the agenda for nearly a century as Fox Hunting has. Secondly it fails to provide an explanation of the role of ideas beyond what ACF names the policy core and secondary aspects, indeed MSF presents ideas as technical and not necessarily linked to normative values. This is extremely problematic when evaluating actor behaviour regarding moral issues as it does not enable an analysis of underlying ideologies held by policy makers and the implications of this on policy decisions. Finally, where ACF does not limit participation within coalitions – enabling an understanding of the role played by beliefs held by pressure groups and influential individuals within and outside of politics (Sabatier, 1993: 25) – MSF views participation in an elitist light with only ‘policy specialists’ in technical and procedural elements involved. Therefore, MSF’s failure to appreciate the involvement of other key actors involved in policymaking and the role of varying levels of beliefs over protracted periods detrimentally affects its ability to understand the character of beliefs in British policymaking in particular. Although belief systems take centre stage within analysis utilising ACF, the role of policy-orientated learning is crucial. Through policy-orientated learning, ACF integrates the role of scientific and technical realisations and is defined as ‘alterations of thought or behavioural intentions that result from experience and/or new information’ (Sabatier & Jenkins-Smith, 1999: 123). Such learning can affect the beliefs held by actors within a policy subsystem, leading to policy changes. Andersson’s utilisation of policy-orientated learning analysis upon Polish Environmental Policy shows the broad applicability of ACF, however he critically points out that there are ‘very few clear-indications of policy-orientated learning across belief systems’ (Andersson, 1999: 125). This is exampled by the drugs policy subsystem in the UK, which within the past two decades, has endured its fair share of new information but has seen very little change. 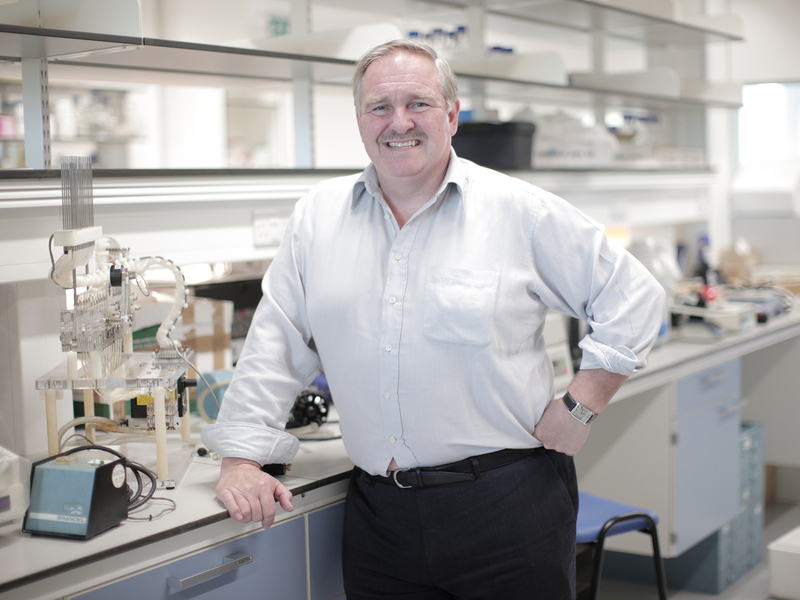 Professor David Nutt evidenced two instances in Drugs Without the Hot Air, whereby consecutive Labour Home Secretary’s dismissed the advice of the Advisory Council on the Misuse of Drugs (ACMD), which he chaired. The first case concerned the government’s decision – in 2007 – to re-upgrade cannabis to a Class B substance despite the ACMD concluding this would not reflect its harmfulness (Nutt, 2012: 1 – 4). Secondly the government refused to downgrade ecstasy (MDMA) following an ACMD report which concluded it should be re-classified as a Class B substance based on its harmfulness (ACMD, 2008: 31). Instead of reflecting the advice provided by the impartial ACMD, Professor Nutt was instead sacked by then Home Secretary Alan Johnson who stated ‘he cannot be both a government advisor and a campaigner against government policy’ (Nutt, 2012: 4). Furthermore, a decision by the Blair administration in 2005 to ban ‘Magic Mushrooms’ without consulting the ACMD – a judgement which may have in fact violated the law, as government is required to consult the ACMD before taking action. Nonetheless, despite the failure of new information to alter the behaviour of actors within the anti-regulation, pro-criminalisation drug policy subsystem, this not does not contradict assertions made by ACF adherents. Weible and Sabatier suggest that policy-orientated learning is not always realised due to cognitive limitations and individuals ‘filter or avoid belief-conflicting information’ (2007: 130). Therefore, although ACF scholars suggest that policy-orientated learning does occur, the examples are sparse; hence advocacy coalitions’ emphasis on belief systems is clear. The concept of policy-orientated learning is particular problematic for MSF as it views the three streams as interdependent, while MSF asserts their independence from one another (Kingdon, 2003: 228 – 229) – a common criticism of the framework (Zahariadis, 2007: 81). Nonetheless, it is still possible to evaluate the role of learning within MSF and policy communities. Within the MSF there is only one apparent linkage to policy-orientated learning. This concerns the problem stream and Kingdon labels this type of learning ‘feedback’ – however, this typically concerns the procedural elements of a government program (2003: 100 – 103) and fails to deal with the role of new information capable of altering the deep and policy core beliefs, such as ACMD reports. Fundamentally this is due to a key assertion of MSF which suggests that policy ideas are created even before a problem exists (Ibid: 116 – 117). Indeed, without giving the role of new, evidence based information a position within the framework, MSF too heavily relies upon the character of ideas within policy making. Nevertheless, more generally, policy community approaches do afford a role for policy learning. Specifically, Richardson and Jordan (1979: 86 – 87) point to the role played by inquiries, which seek to gather insights and evidence around particular policy issues and problems. These inquiries – which are similar to the reports produced by the ACMD insofar as they consult specialists in particular fields – are capable to driving issues onto and up the agenda, although it is possible that inquiries will take the issue off the agenda for a prolonged period of time (Ibid). This is particularly true of the ACMD reports and the subsequent action taken the government. By choosing to passionately dismiss the evidence presented to them in ACMD reports over their 13 years at the helm of power, Labour set a tone which dominated the drug policy community and prevented any reasonable hearing for debates around the decriminalisation or regulation drugs. Hence although, MSF doesn’t give a fair reflection of the role played by new information due to its overwhelming focus on ideas, the more generalised approach to policy communities can provide an explanation as to why policies often remain unchanged despite new information coming to light. MSF and policy communities’ lack of emphasis upon the role of new information in policymaking may be due to its recognition of the role of events external to the policy stream. Kingdon recognises the role of ‘focussing events’ in policymaking (2003: 94 – 100). Although there are variations, these are broadly momentous events within a policy area which focus the attention of those within and outside of the policy community (Ibid: 96 – 97). However, Kingdon critically identifies that often focussing events merely concentrate policymakers’ and politicians attention on a problem which they have been aware of for a long time (Ibid). What this suggests is that although actors within subsystems may be conscious of a problem for a long period of time, they require the culmination of variables external to the policymaking stream to be able to push for action, a ‘policy window’ (Zahariadis, 2007: 73 -74). For instance, although policymakers were aware of the threat posed by terrorism before 9/11, it took such an event to bring about policy change in security and intelligence due to the connotations such policies have on liberty (Lyon, 2006: 398 – 401). ACF too gives particular consideration to the role of external events in policymaking. Specifically it views changes in: socio-economic conditions, technology, the dominant coalition and also decisions made in other subsystems as providing opportunities or constraints to policy makers (Sabatier, 1993: 22 – 23). While public opinion alone is merely seen as a constraining factor on the alternatives available to policy makers, however when it changes it is recognised as a pivotal factor within ACF’s external events category (Sabatier & Jenkins-Smith, 1993: 223). Ultimately, both models provide an account for how actor behaviour is constrained over a long period of time. However, MSF and policy communities only provide an understanding of how actor behaviour is enabled in short bursts of activity via policy windows, whereas ACF enables analysis of how actors may be empowered by external events for a prolonged period of time – i.e. the discontent caused by socio-economic conditions in the North of England has increasingly empowered policymakers seeking to tightly control levels of immigration into the UK over the past decade. Immigration control also presents a fascinating example for analysing the capacity of the models to explain harmonisation across belief systems. Indeed, faced with the threat of right-wing populism, some Labour MPs have begun to defy the traditional party line on immigration . Although, once again, MSF’s insistence on the independence of the three streams makes analysis of politician led consensus building among policy communities difficult, it does provide a lens to analyse such an example through. MSF posits the activity of consensus building as one where actors within policy communities ‘bandwagon’ ideas which satisfy specific conditions – outlined in the Beliefs and Ideas section – until that idea reaches a ‘tipping point’ where it continuous garners more support (Kingdon, 2003: 139 – 142). Indeed, as Kingdon suggests, frequently discussed ideas gain more serious consideration (Ibid: 140). Additionally, ACF views such harmonisation across belief systems as uncommon, but possible providing certain conditions are met (Jenkins-Smith & Sabatier, 1993: 55). The example of immigration corresponds to the three conditions outlined by Jenkins-Smith and Sabatier: ‘a moderate level of conflict…is analytically tractable’ and actors have had to justify their views to their peers within the political arena (Ibid). Ultimately, while MSF identifies that policy ideas may gather more support over time in policy communities, the mechanism specified by Kingdon is far too simplistic to thoroughly explain the process of consensus building. Meanwhile, Advocacy coalitions employ in-depth conditions to enable analysis of why consensus can be reached across belief systems. Fundamentally, ACF’s consideration of variables such as levels of conflict lends itself to explaining actor behaviour within subsystems over prolonged periods of time. While policy communities, and MSF in particular, can provide useful tools for describing why continuity exists in policy making, its inability to provide a truly analytical framework for explaining change as well as continuity over long periods of time is exacerbated by the highly developed nature of advocacy coalitions. MSF’s over-reliance upon the role of ideas within policymaking and the independence of the three streams makes attempts to analyse policies borne out of lengthy debate among various actors incredibly cumbersome. While it does accept the role of external events in policymaking, its conception is all too one-dimensional and focuses upon short bursts of activity leading to changes in behaviour. Meanwhile, advocacy coalitions provide a balanced analytical model amongst a wider framework, which does not over emphasise beliefs to the detriment of other elements. While belief systems can explain long term continuity within subsystems, these are susceptible to policy-orientated learning or the building of broad consensuses which take place over prolonged period of time. Furthermore, the role given to external events within ACF is dissimilar to that of MSF for it conceives of them as taking effect over time, not merely creating windows for action. Vitally, advocacy coalitions appreciate the degree to which external events and analytical debate between actors across belief systems can affect behaviour and outcomes. Advisory Council on the Misuse of Drugs (2008) MDMA (‘ecstasy’): A Review of its Harms and Classification Under the Misuse of Drugs Act 1971, London: Home Office. Andersson, M. (1999) Change and Continuity in Poland’s Environmental Policy, Dordrecht: Springer Science & Business Media. Branigan, T. (2002) ‘400,000 bring rural protest to London,’ [online] The Guardian, Available at: https://www.theguardian.com/uk/2002/sep/23/hunting.ruralaffairs2 Accessed: 20/12/16. Cloke, P., Milbourne, P. & Thomas, C. (1994) Lifestyles in Rural England, London: Rural Development Commission. Evans, G. & Tilley, J. (2011) ‘How Parties Shape Class Politics: Explaining the Decline of the Class Basis of Party Support,’ British Journal of Political Science, Vol. 42, No. 1: 137 – 161. Howe, J. (1981) ‘Fox Hunting as a Ritual,’ American Ethnologist, Vol. 8, No. 2: 278 – 300. Jenkins-Smith, H., Nohrstedt, D., Weible, C. M. & Sabatier, P. (2014) ‘The Advocacy Coalition Framework: Foundations, Evolution, and Ongoing Research Process,’ in Sabatier, P. & Weible, C. M. (eds) Theories of the Policy Process 3rd Edition , Boulder: Westview Press: 184 – 223. Kingdon, J. W. (2003) Agendas, Alternatives and Public Policies 2nd Edition, London: Longman. Lawrence, J. & Sutcliffe-Braithwaite, F. (2012) ‘Margaret Thatcher and the decline of class politics,’ in Jackson, B. & Saunders, R. (eds) Making Thatcher’s Britain, Cambridge: Cambridge University Press. Lowe, P., Clark, J., Seymour, S. & Ward, N. (1997) Moralizing the Environment: Countryside Change, Farming and Pollution, London: UCL Press. Lyon, D. (2006) ‘Airport Screening, Surveillance, and Social Sorting: Canadian Responses to 9/11 in Context,’ Canadian Journal of Criminology and Criminal Justice, Vol. 48, No. 3: 397 – 411. May, P. J. (1989) ‘Reconsidering policy design: Policies and publics,’ Journal of Public Policy, Vol. 11, No. 2: 187 – 206. Nutt, D. (2012) Drugs Without the Hot Air, Cambridge: UIT. Pollitt, C. (2008) Time, policy, management: governing with the past, Oxford: Oxford University Press. Richardson, J. & Jordan, A. (1979) Governing Under Pressure, Oxford: Martin Robertson. Sabatier, P. (1988) ‘An Advocacy Coalition Framework of Policy Change and the Role of Policy-Oriented Learning Therein,’ Policy Sciences, Vol. 21, No. 2/3: 129 – 168. Sabatier, P. (1993) ‘Policy Change Over a Decade or More’ in Sabatier, P. & Jenkins-Smith, H. (eds) Policy Change and Learning: An Advocacy Coalition Approach, Boulder: Westview Press: 13 – 41 . Sabatier, P. & Jenkins-Smith, H. (1993) ‘The Advocacy Coalition Framework: Assessment, Revisions, and Implications for Scholars and Practitioners’ in Policy Change and Learning: An Advocacy Coalition Approach, Boulder: Westview Press: 211 – 235. Sabatier, P. & Jenkins-Smith, H. (1999) ‘The advocacy coalition framework: An assessment,’ in Sabatier, P. (eds) Theories of the Policy Process, Boulder: Westview Press: 117 – 166. Stone, J. (2016) ‘Andrea Leadsom says she’ll bring back fox hunting to improve animal welfare,’ [online] The Independent, Available at: http://www.independent.co.uk/news/uk/politics/andrea-leadsom-fox-hunting-animal-welfare-ban-hunting-act-poll-a7127276.html Accessed: 10/12/16. Tichelar, M. (2006) ‘‘Putting Animals into Politics’: The Labour Party and Hunting in the First Half of the Twentieth Century,’ Rural History, Vol. 17, No. 2: 213 – 234. UK Conservative Party (2015) The Conservative Party Manifesto 2015: Strong Leadership, A Clear Economic Plan, A Brighter, More Secure Future, London: Conservative Central Office. F., Miller, G. & Sidney, M. (eds) Handbook of Public Policy Analysis: Theory, Politics, and Methods, London: CRC Press : 123 – 136. Zahariadis, N. (2007) ‘The Multiple Streams Framework: Structure, Limitations, Prospects’ in Sabatier, P. (eds) Theories of the Policy Process 2nd Edition, Boulder: Westview Press: 65 – 92.